Hi! I just found your blog via the YHL link today. 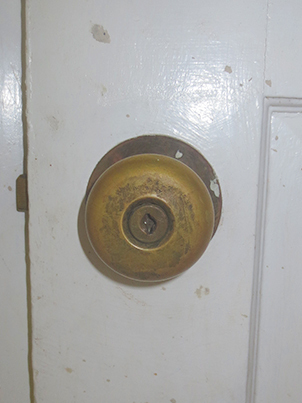 You might consider a deadbolt that requires a key on both sides. 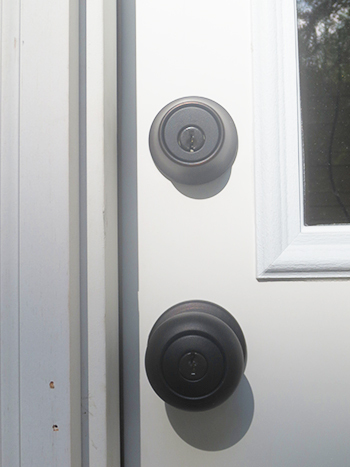 With your current set up it would be uber easy for a nefarious person to somply knock out the one pane, reach in, and conveniently turn the deadbolt. 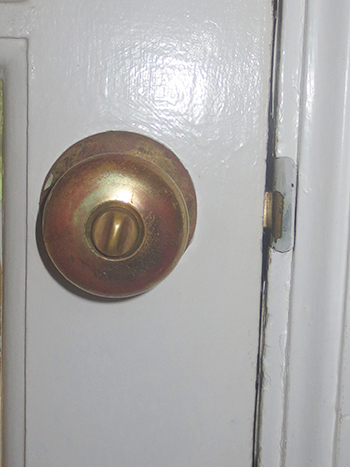 Growing up, we had a similiar door and kept a deadbolt key on a wall hook close enough to be easily accessed, but not close enough that a long arm through the window could reach it. Convenience and safety all in one! Hi Jen, welcome! 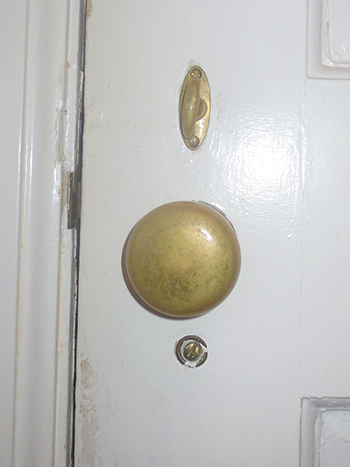 We considered doing that, but since there is no door frame, there’s nothing solid for the dead bolt to go into. Because of this it’s pretty easy just to simply kick the door down (about as easy as it would be to break the window.) So we decided the extra expense wasn’t worth it. But you make a good point! Yeah, after I read through your blog more and realized the door was in a room full of giant windows it seemed sort of pointless then. 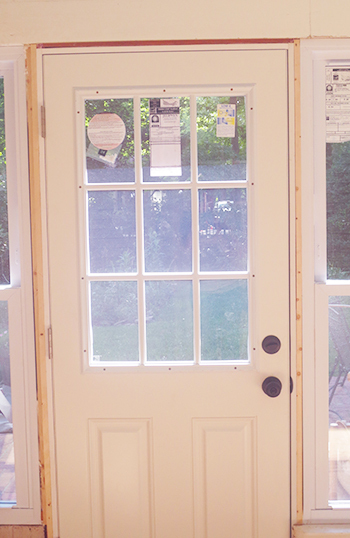 🙂 Your sunroom sure is coming along…I look forward to the “after” shots!